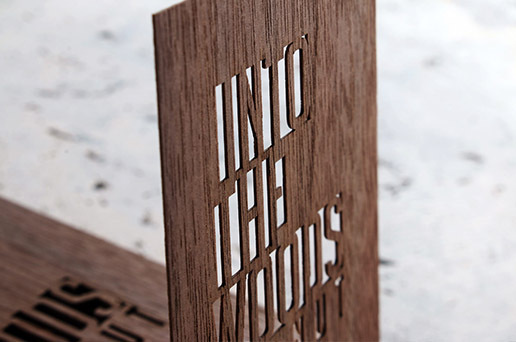 Laser cutting promises a sophisticated and succinct finish due to the crisp lines, which truly bring out the image, patterns and text of your design. Our popular precision-cut collection allows for intricate and intensely dramatic cuts to emphasise the details of your business. 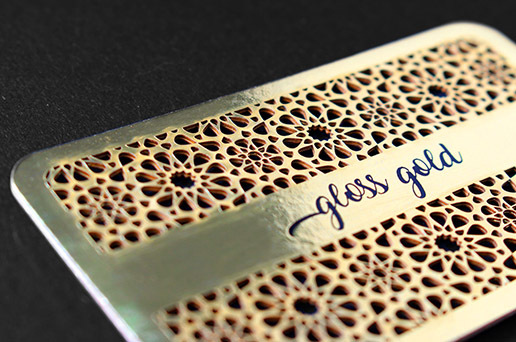 A true show stopping and stunning technique, laser cutting produces the most elaborate designs with the highest level of meticulousness and quality. 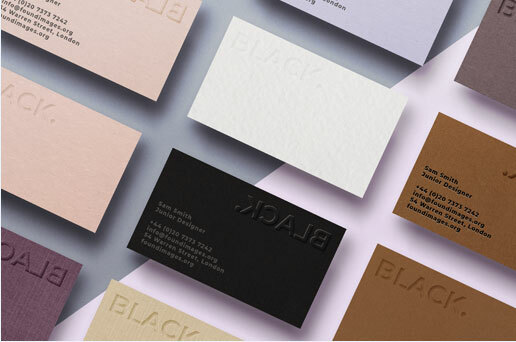 If you want something exceptionally defined, yet delicate, this is your kind of business card! 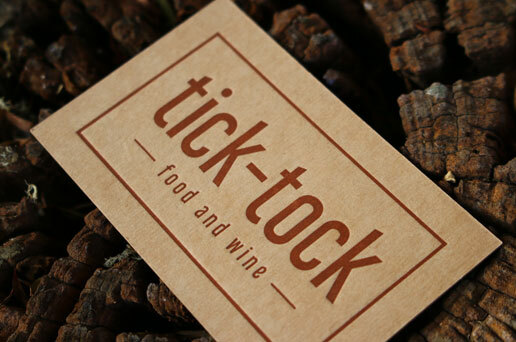 Inktank utilises laser cutting, as well as, laser marking applications. 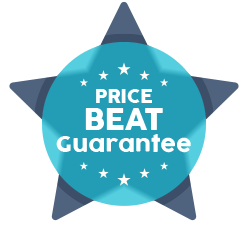 The accurate cuts of this process are achieved by high powered laser beams that burn away at the material to bring you the shape and outline you desire. 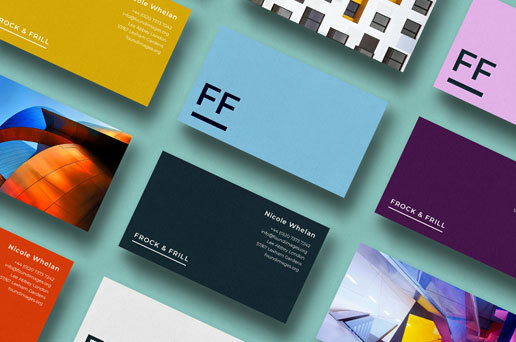 Your business card is given that premium, high-end appeal with the breathtakingly beautiful attention to detail, contributed by the crisp cuts and lines. Depending on the paper material, thickness and the detail of the laser cut, we recommend paper stock up to 19PT and less. 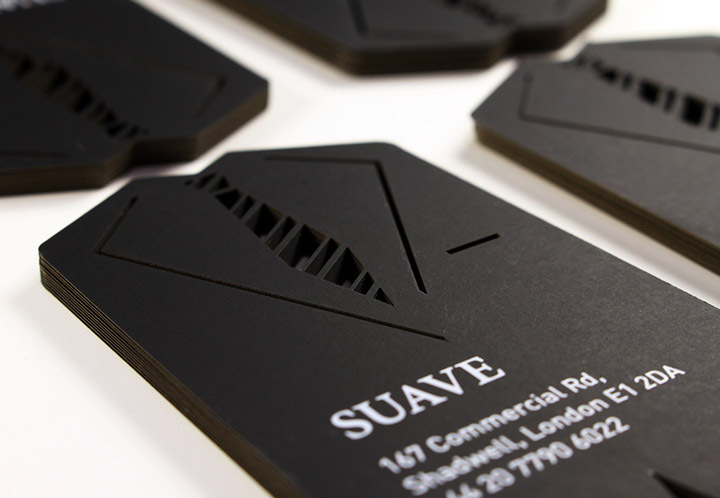 Laser cut business cards are perfect if you’re looking to get a custom shape design. When unified with our rich foil colour range, the finished product is remarkably unique. Royal Metallic / Stock: 300gsm / Size: 90mm x 55mm. We went far and wide to hand-pick the most suitable stocks that respond well to high intensity laser beams, with minimal burn marks surounding the edges of the laser cut patterns. 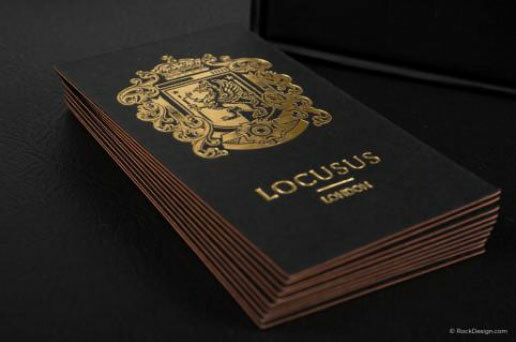 Precision laser cut black stocks exudes pure luxury and lavishness. 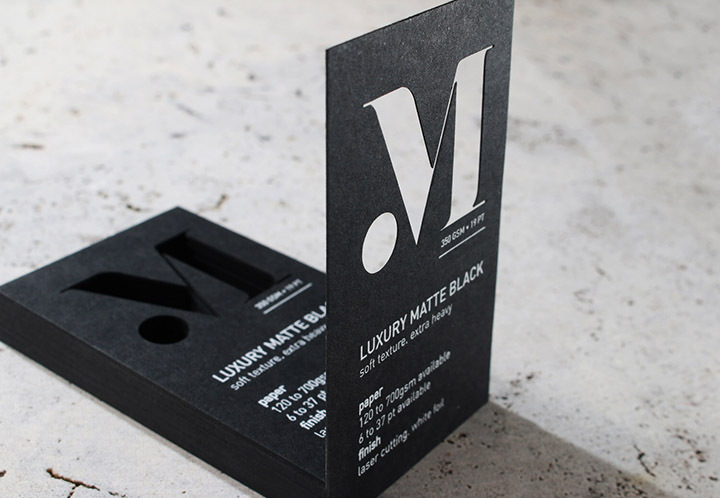 Uncoated and contemporary black stock, perfect for wowing your customers. Hero laser acut shot above. Text - TBA after photo. 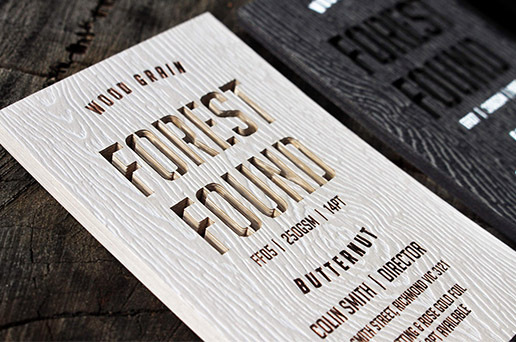 Combining laser cutting with additional techniques such as paper bonding, makes for an impressive and exquisitely and exceptionally sophisticated look as the reverse colour or graphic reflexts through the pattern. Laser marking involves the use of laser beams to burn away at the material rather than to cut through it and can be used in conjunction with laser cutting. 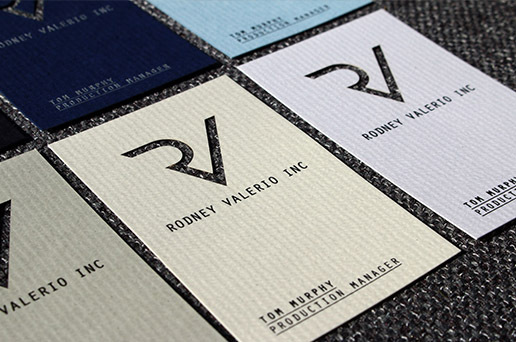 A non-contact process, powerful laser beams are used to laser engrave your design onto rich, textured papers. 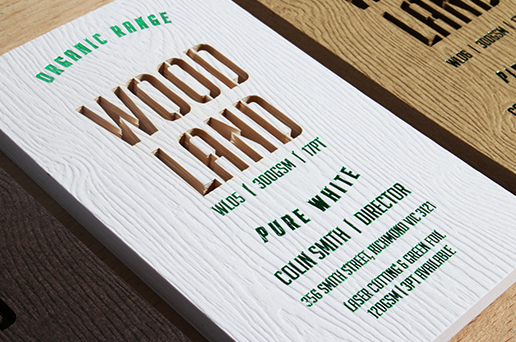 For this laser impression technique, we recommend thick paper, ideally starting from 19PT. One our most popular standard paper stocks. With a natural, organic raw finish available in smooth and lightly textured surface. Large range of uncoated papers, textures and colours.